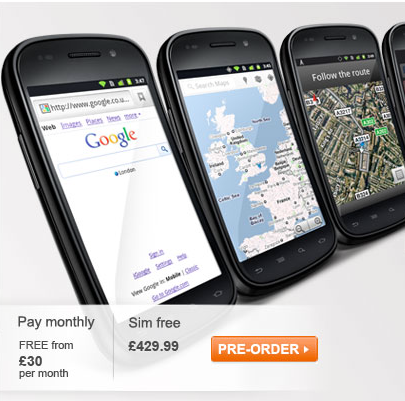 Planning on buying the latest Google phone in the UK? Then you're in luck - the pre-order price from Carphone Warehouse has been cut to just £429.99 for the SIM-free option and £0 for the version that comes with a two-year contract. It's worth noting that the device is currently listed as being on back order, so you may be have to wait for some time before you get your phone. Still, at least the Nexus S is available from third party retailers, unlike the device it succeeds.